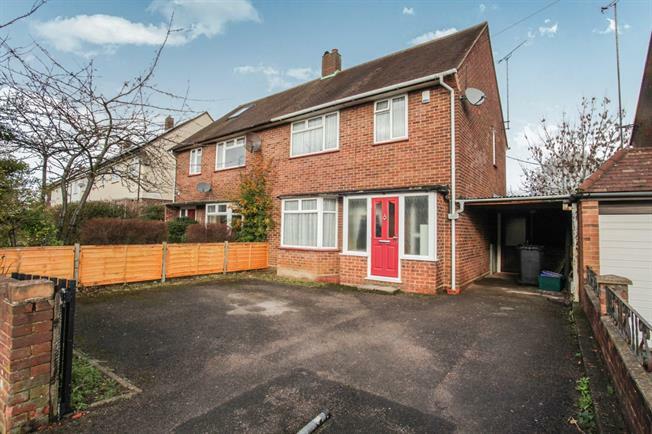 3 Bedroom Semi Detached House For Sale in Luton for Guide Price £270,000. This lovely semi-detached home has been upgraded and decorated with a modern feel by the current owners making this the ideal property that you can move your furniture straight into. The property is within easy reach of Luton town centre, Luton train station with its links into London, the university of Bedfordshire and M1 junction 10. This bright airy property comprises of an entrance hall, cloakroom, lounge, kitchen/diner, utility room, storage room, three bedrooms and a family bathroom. Externally there is off road parking and a large rear garden. Double glazed uPVC window. Gas fire, carpeted flooring. Double glazed uPVC window. Radiator, tiled flooring. Roll top work surface, wall and base units, butler style sink, range oven, gas hob, overhead extractor, integrated dishwasher, washing machine. Double glazed uPVC window. Heated towel rail. Low level WC, panelled bath, shower over bath, pedestal sink.